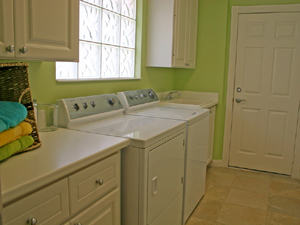 T-Mont offers complete Laundry Room service, from sinks, to faucets, to washing machine valves to complete laundry rooms. We can take care of running the gas piping for your dryer, water piping and waste piping for the washing machine, drain pans, dryer vents, washer and dryer hookups and disconnections. So give us a call and let us take care of your laundry room needs so you can “Feel at home again” ..